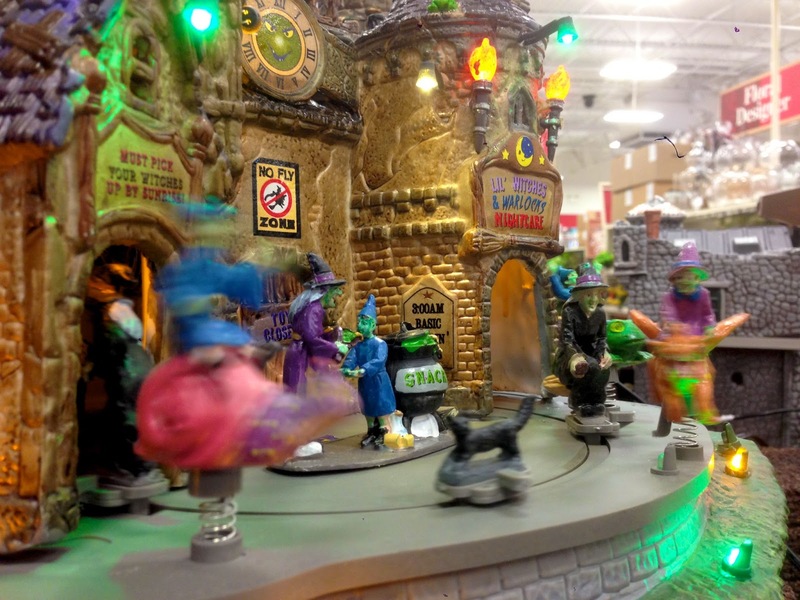 HALLOWEEN LOVERS EVERYWHERE, IF YOU HAVE NEVER SEEN THE LEMAX SPOOKY TOWN COLLECTION AT MICHAELS, FIND ONE NEAR YOU AND GO THERE. NOW. 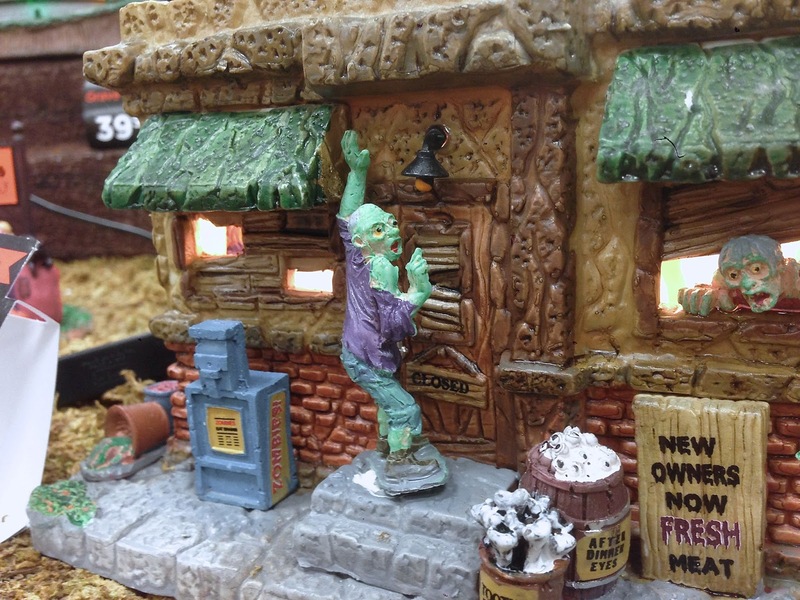 I discovered the world of Lemax Village collectibles only a year ago. 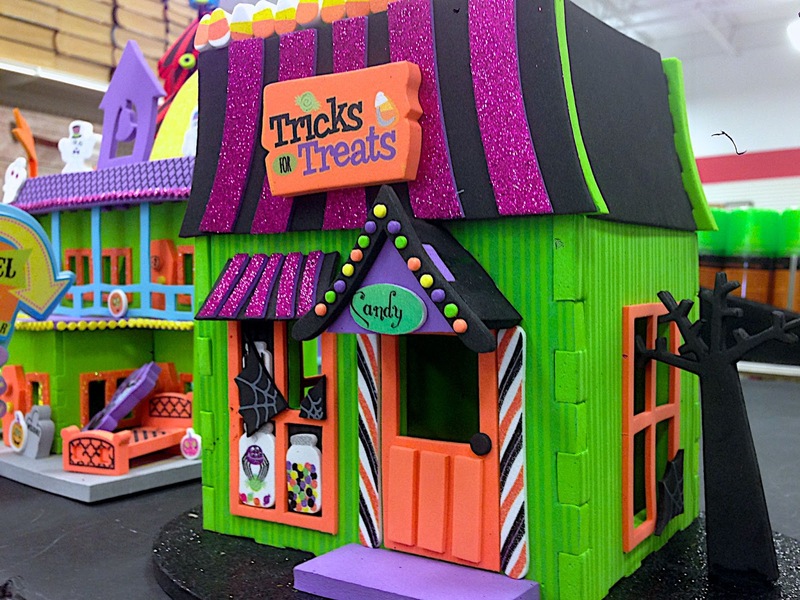 They also make Christmas sets, but the Halloween village is sold exclusively at Michaels. Now I’m not normally the kind of guy that goes gaga for stuff like this, but the artistry and imagination evident in these pieces is hard to deny. 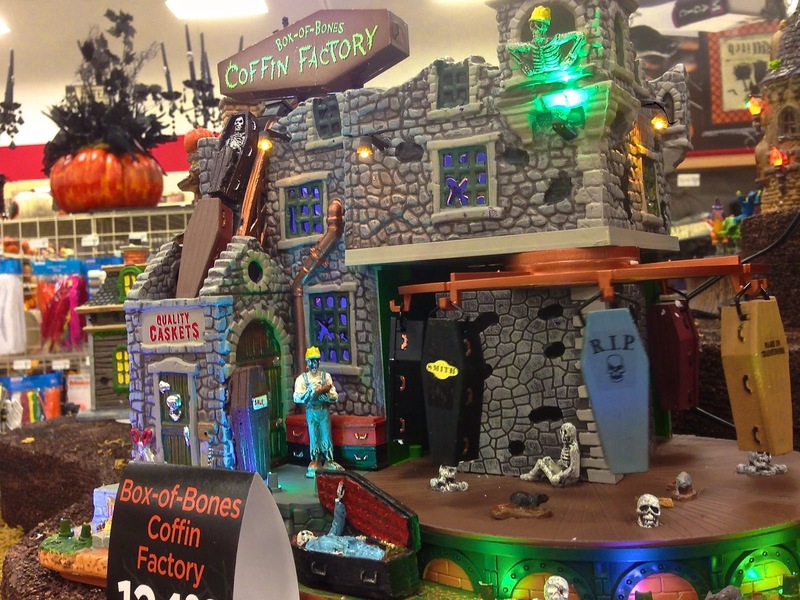 There are a lot of options out there for Halloween village sets. 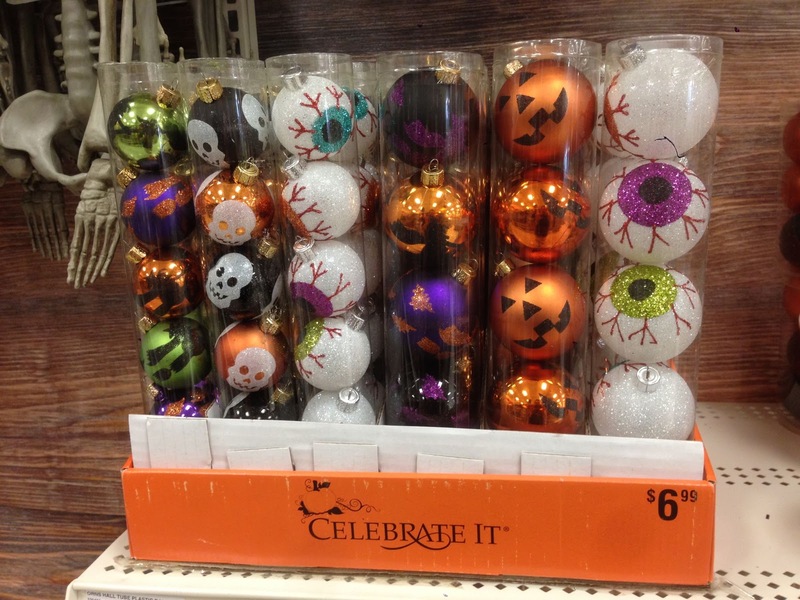 They’re becoming more popular year after year, as is the dubious general trend of spook-icizing traditional Christmas decor. (More on that later.) By and large, the village sets are too cutesy for my tastes, but this — this is something different. 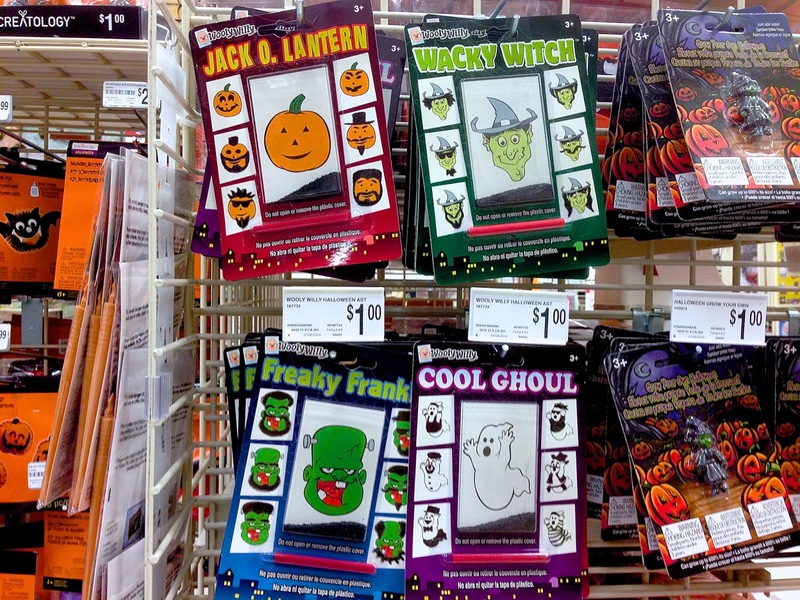 You will remember I spotted my first example of Halloween merchandising on July first this year. 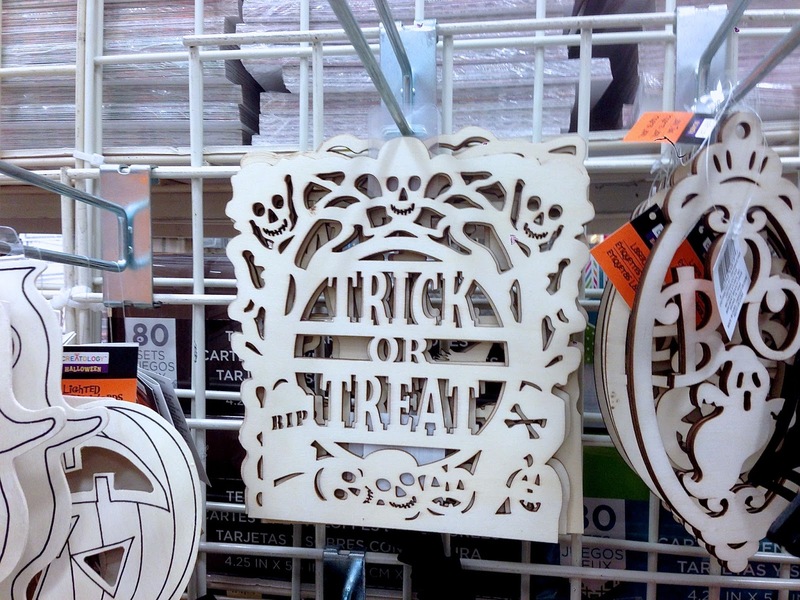 That was, not surprisingly, at this same Michaels location. 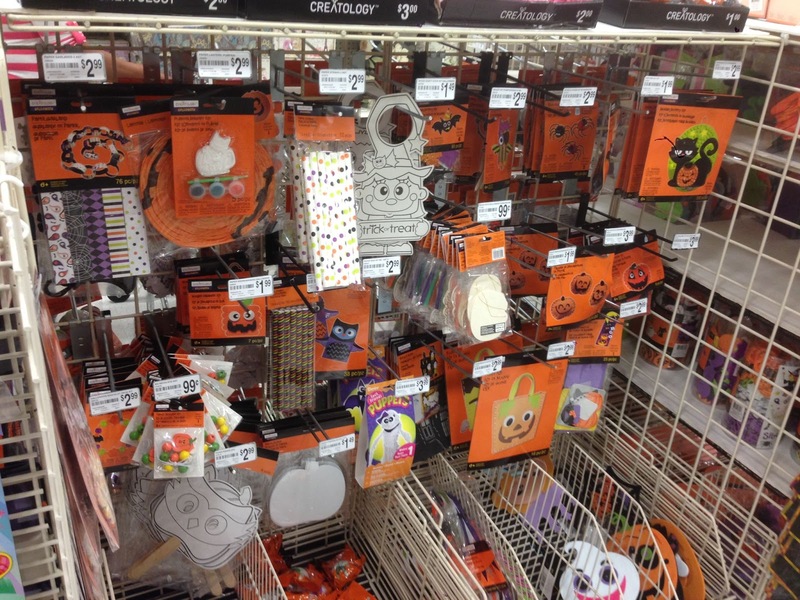 Michaels has long been known for stocking early for holidays, but once you see their remarkable inventory you can see why they would be more anxious than anyone save Party City to get stock out on the shelves. In point of fact (and for better or worse) several other places beat them to it this year, with basically similar decor. But the Lemax set alone is a Michaels exclusive that makes any visit well worth it. 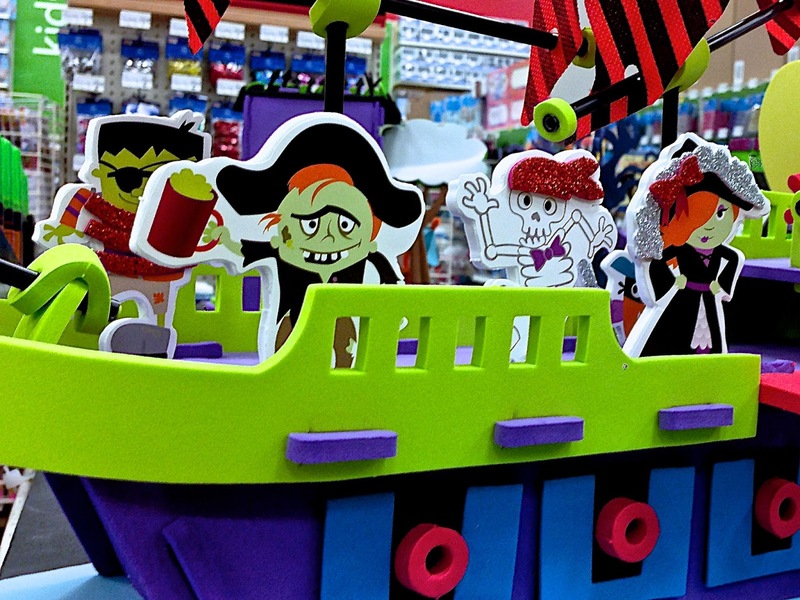 So come along with me now as we take a visual tour of Halloween Stuff at Michaels! 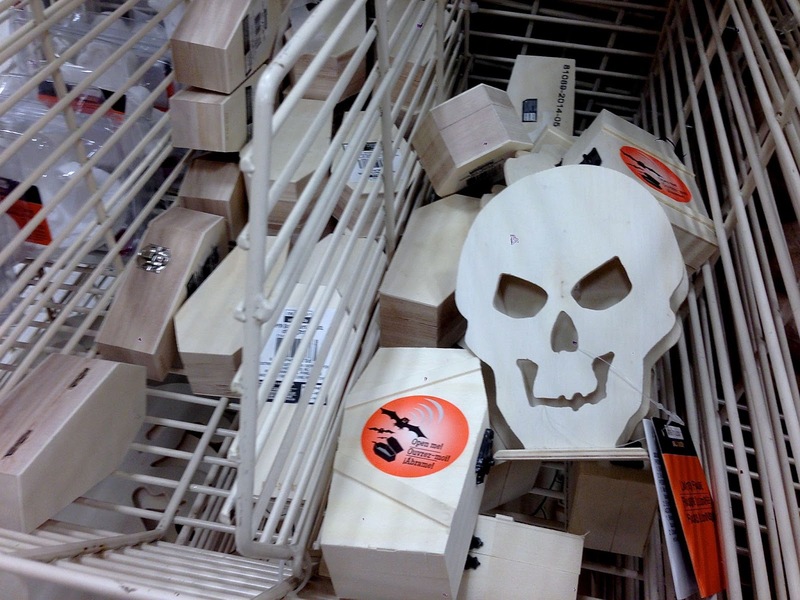 Michaels is first and foremost a crafts store, and while the Lemax set may draw you in, you can also find a number of other unique specialty items in that section. 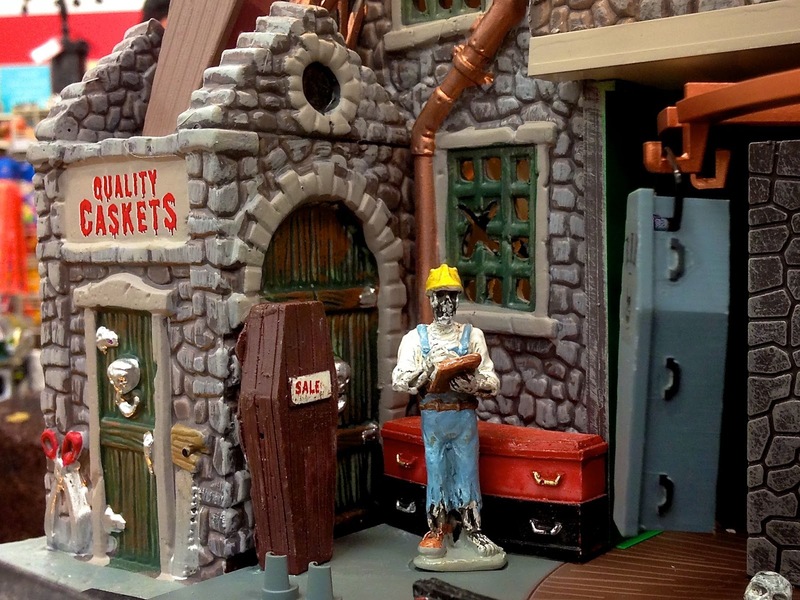 These range from the “sweet”, like the costumed pirate set and model candy shop shown below, to what I would consider more interesting and even nostalgic items. Depending on who you are or what you’re looking for, you might be tempted to pass this section by. But don’t. 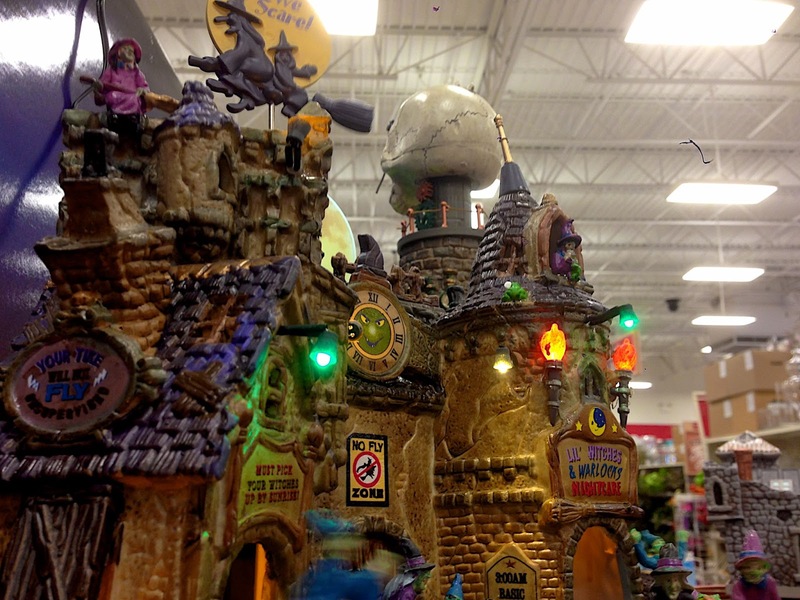 The Lemax village will still be there waiting for you on the other side of the store once you’re done here. Come to think of it, that piece you wanted may go quickly so you’d better run over there right now and grab it, but then come back here and take your time perusing these curious bins. You never know, you may find hidden treasure. 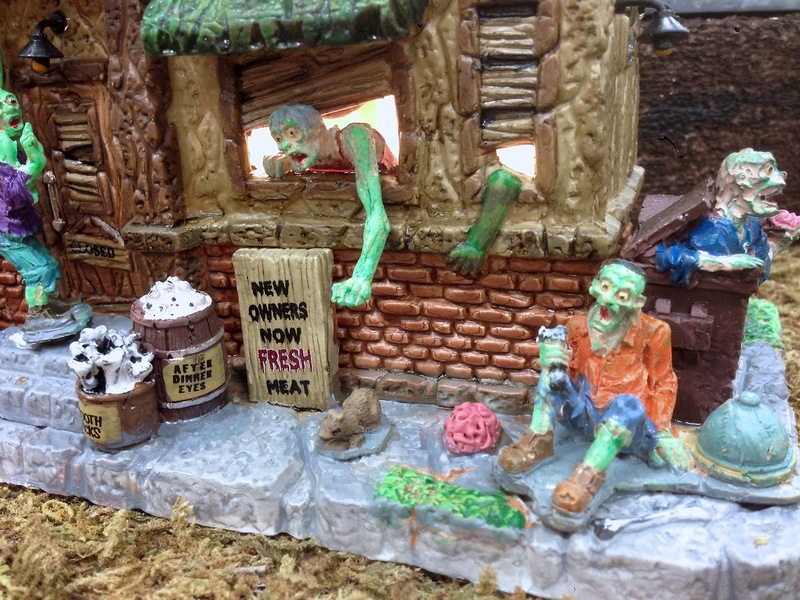 As a Halloween loving geocacher, it’s hard for me to look at stuff like this without imagining how some of these might be repurposed as geocache containers. 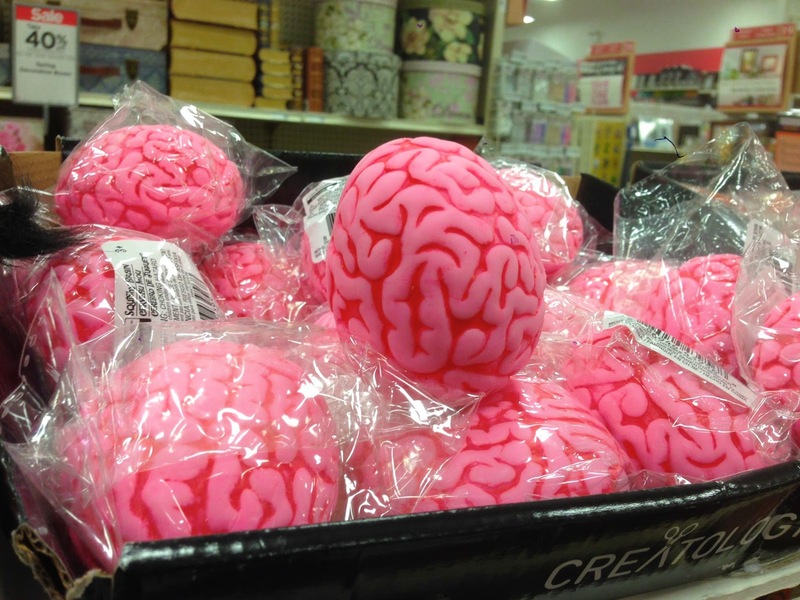 This brain, for instance, may make you think of zombies or mad scientists’ laboratories, but I’m thinking about ways I can slit that thing open and shove a cache log inside. And this is not the only item they sell with geocaching opportunities. Stickers, paints, puppets, and paper! 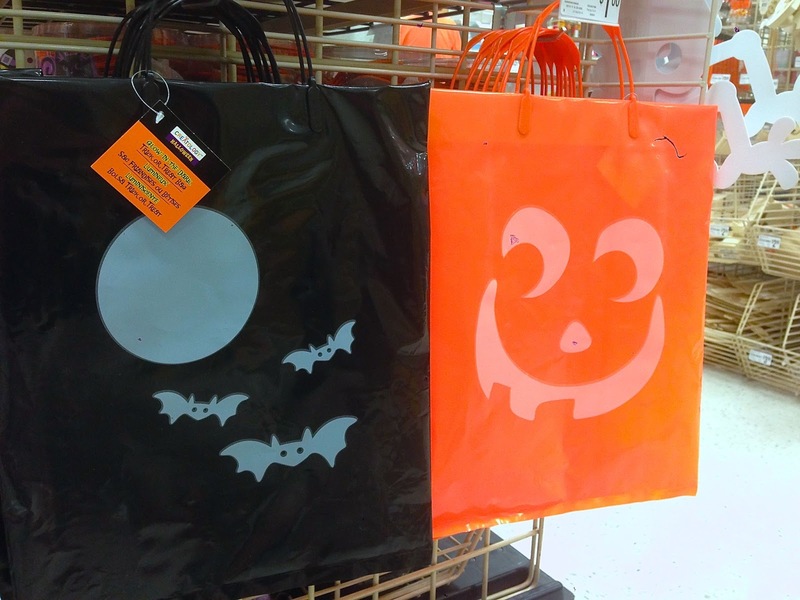 Comically undersized trick-or-treat bags. We’re up to carrying king-sized pillowcases these days. ThePonyOwner painted one of these for me last year, and it’s hanging in my closet right now, as a matter of fact. One of the best craft projects Michaels offers, in my opinion. 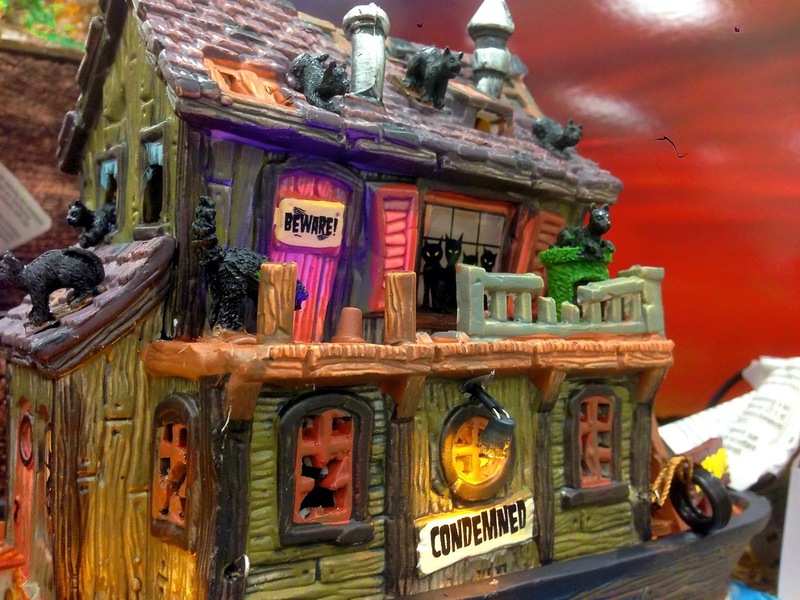 You’re here for the Lemax Halloween village, right? Feast your eyes on this, and tell me if it doesn’t inspire you to start throwing up spiderwebs and black lace before the month of August is out! Now one thing about Lemax is that you pay for what you get. 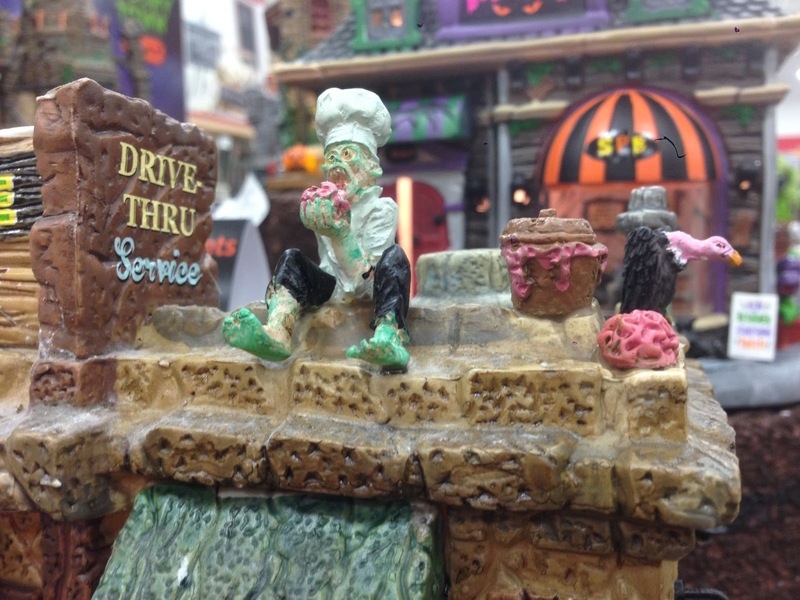 The smallest figurines and accessories go for about $10, while some of the largest showcase pieces go for well upwards of $100. Luckily, they always seem to have a few desirable pieces in the $30 - $40 range. 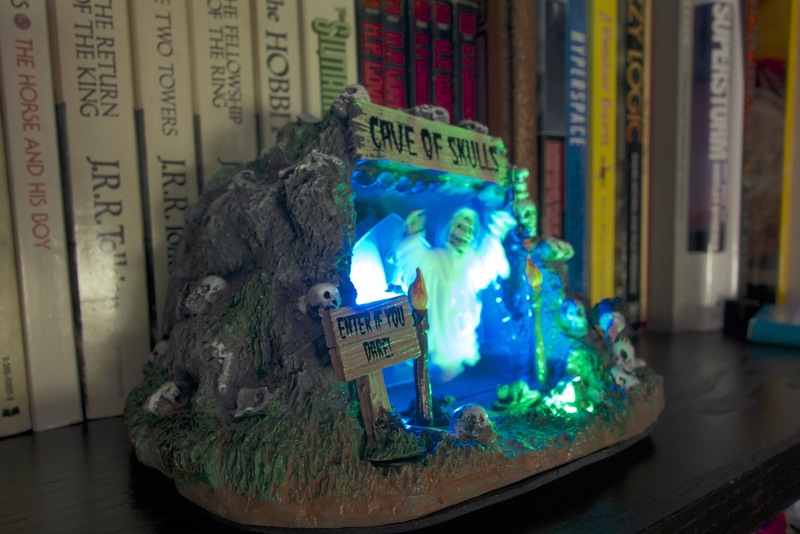 The Cave of Skulls is one that I bought last year in that category, and the picture doesn’t do it justice. It looks great up close, and as with all the Lemax pieces the detail is incredible. The reason the specter in the center is a little out of focus is that it wobbles on a spring, against a backlight that changes colors. 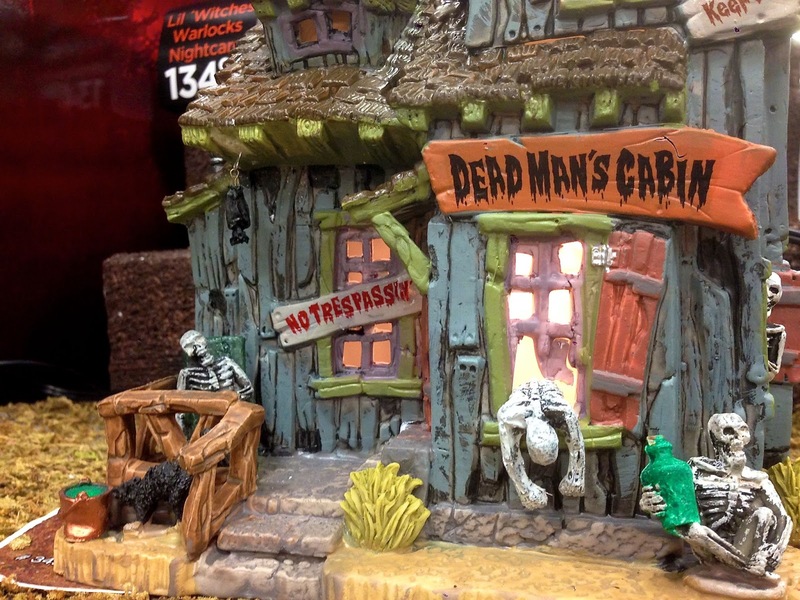 Two details in particular stand out to me about the Dead Man’s Cabin. First, do you see that little skeleton guy peeking around the side of the house? How creepy is that? Second, the drunk skeleton seated in the lower right hand corner kind of reminds me of this guy from the 80s animated feature The Last Unicorn. In fact, I’m pretty sure it’s the same guy. If you have young, unicorn-loving children you might want to think twice about showing them this alternately boring and disturbing film. 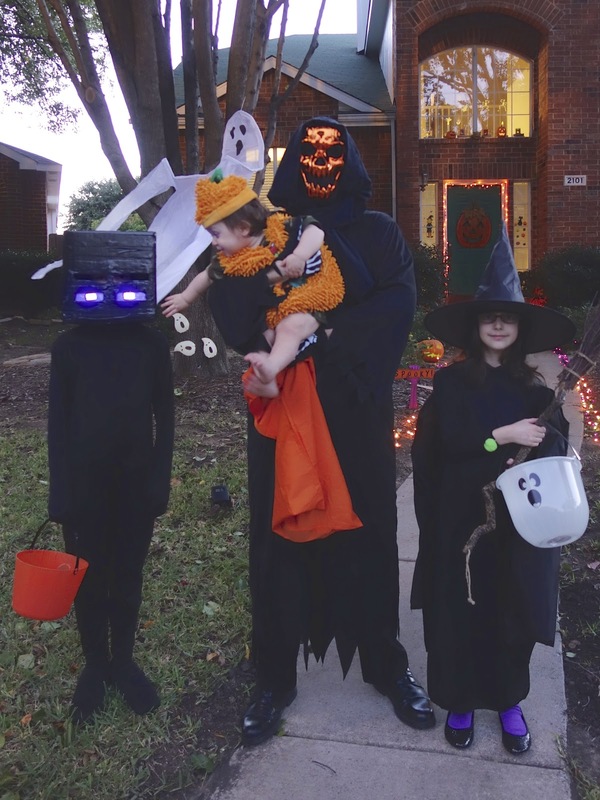 Some of the low cost accessories are cool, too, like the purple spotlights that I used to make an Enderman costume for TheVCubeSolver last year. I think it came out quite well. The larger pieces in the set all have moving parts and lights. They’re really a trip to see activated. Be sure to watch the video at the end! My easy favorite this year is Hemlock’s Nursery. 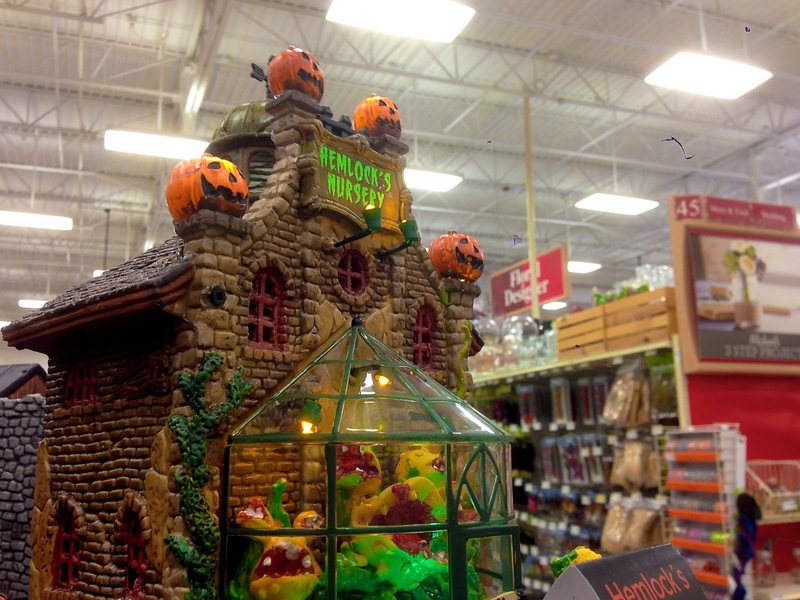 I love the warm lamp on the mutant flytraps, and the four lit jack o’ lanterns on the roof just put it over the top. A beautiful piece of Halloween art. 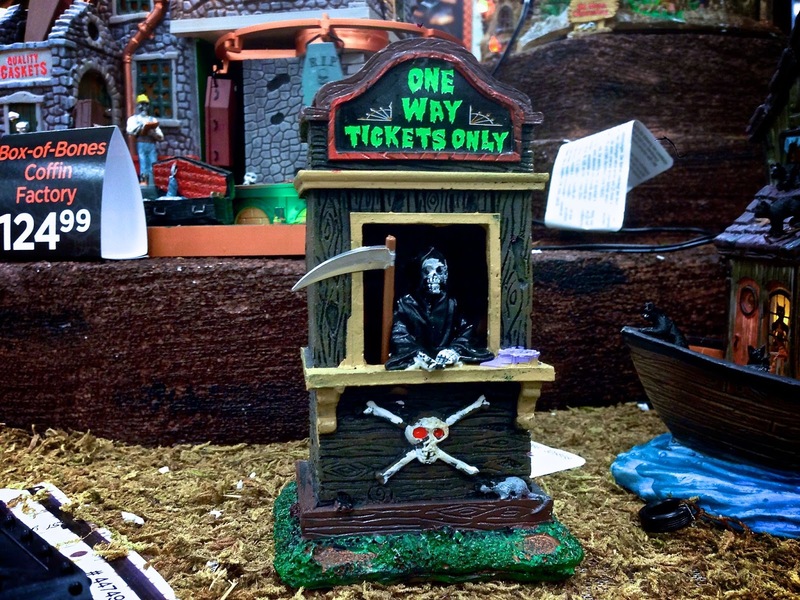 In the realm of things more in my price range is this grim ticket collector, which could also function at the door to our planned Halloween party. A condemned ship oddly populated with an army of black cats. Why? 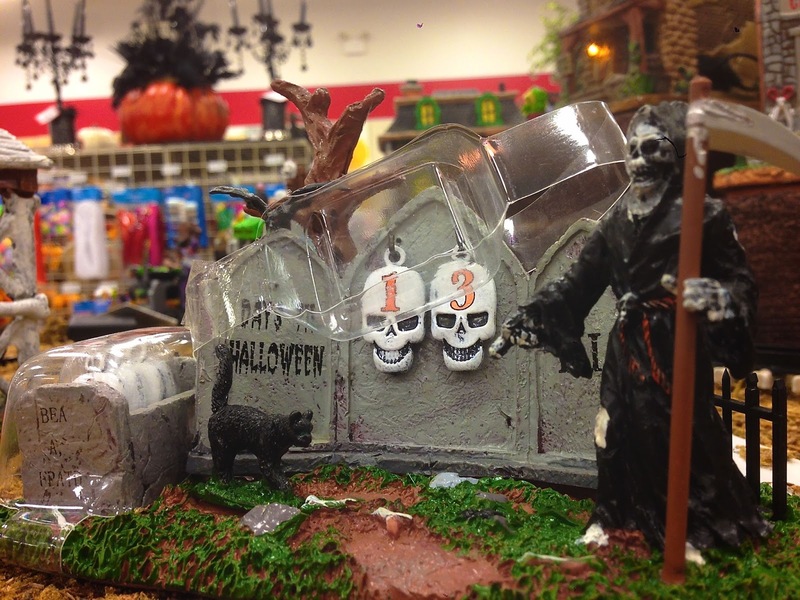 A very nice Halloween countdown piece with interchangeable number plates. Usually these are only good for the officially sanctioned countdown period of 30 days, even though they go on sale much earlier than that. The foreman at the Coffin Factory looked sort of bored. The job would get pretty repetitive, I suppose. 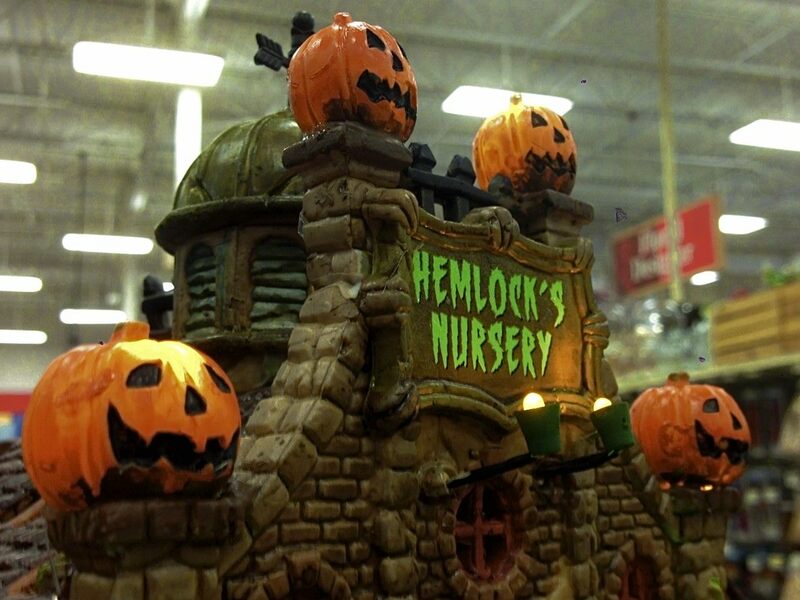 Now I’ve already mentioned that my favorite piece was Hemlock’s Nursery, but I think that was only because of the jack o’ lanterns. 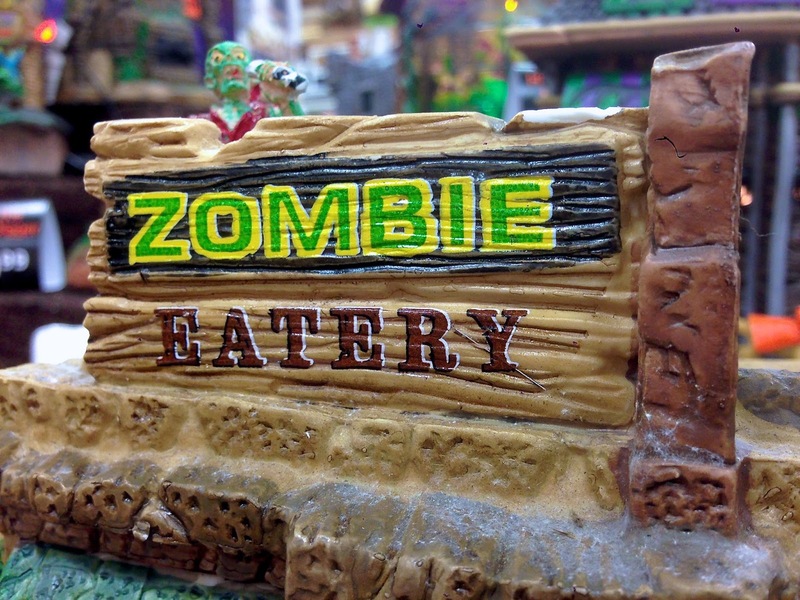 The Zombie Eatery, though, has got to be this year’s coolest item. It’s a masterpiece. Although lacking any moving parts, it way over-delivers on spooky and hilarious detail. 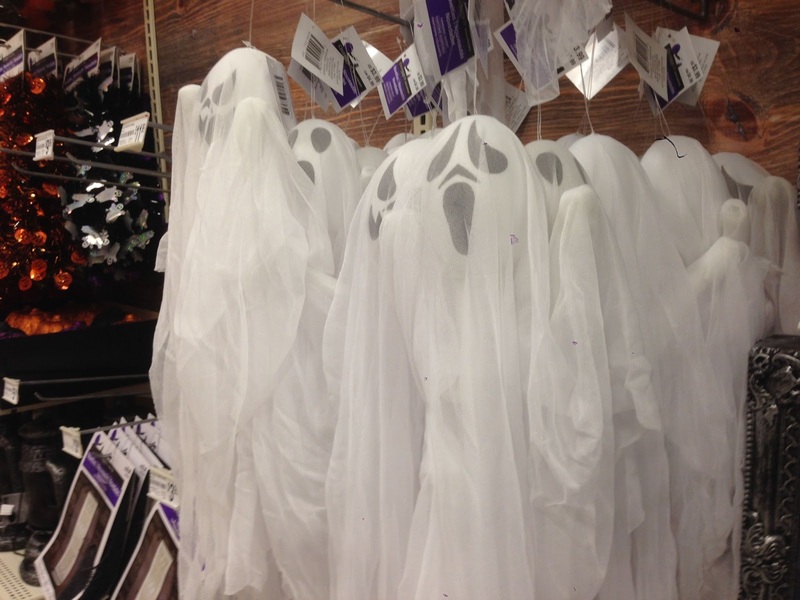 Michaels also had a few aisles of more standard decorative fare, like these hanging ghosts. I confess I didn’t get a lot of shots of those because I was still in awe over the Lemax stuff. 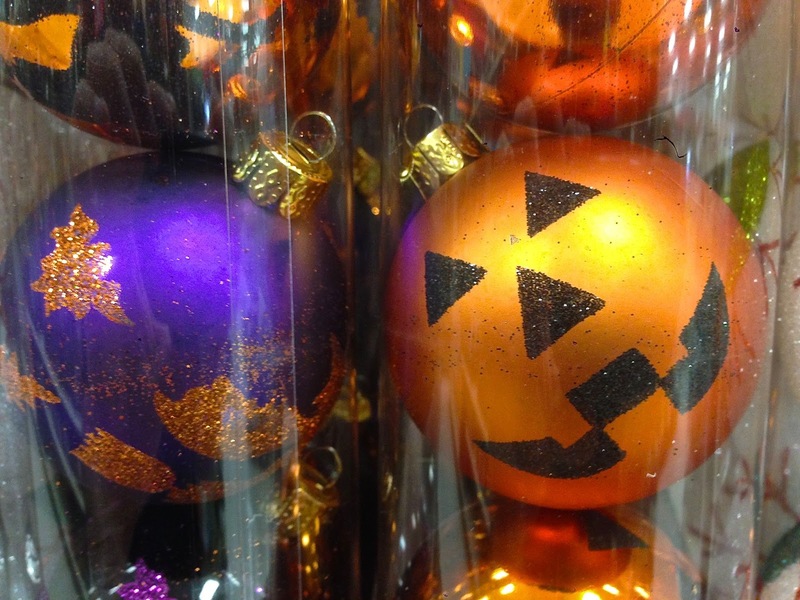 One thing I did note, however, was the hard sell on getting you to buy the be-pumpkin’d version of traditional Christmas decorations. Halloween Trees? With all apologies to Ray Bradbury, seriously? I don’t think this is what he had in mind. 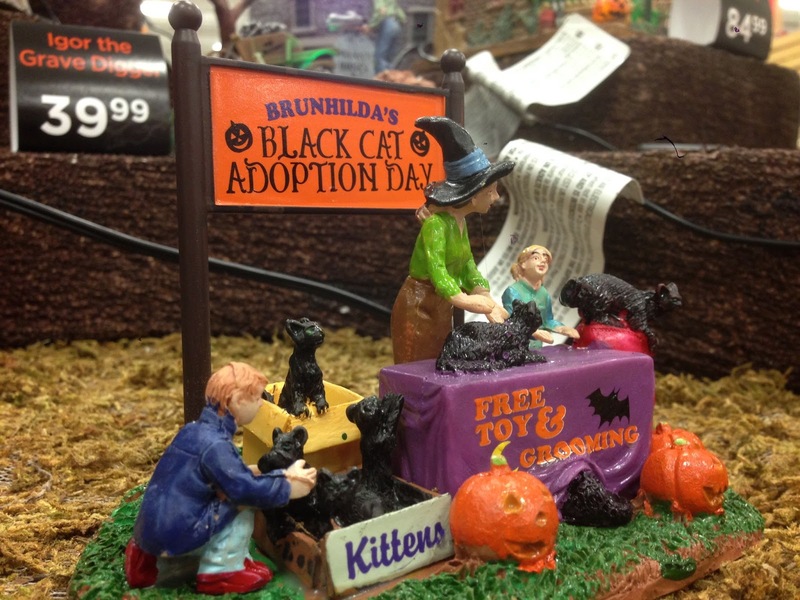 Halloween is not another Christmas and it doesn’t need to adopt its tropes. No trees and stockings and presents. I hope you all enjoyed the tour. Here’s a little present for all you true fans out there who’ve made it all the way to the end — a short video featuring the major Lemax pieces in action!